Moving out of your dorm at the end of the semester is a bittersweet experience. While it can be sad to leave behind college friends for the summer, frequently summer plans and goals trump all apprehensions about leaving campus. With the stress of finals and the desire to embark on your vacation, sometimes packing up your room becomes a mindless test of speed and efficiency, making it easy to overlook minor faults and damages to your room. Usually the worst outcome of this is a suitcase full of dirty laundry and a possibly broken desk lamp, but it isn’t uncommon to run into more serious consequences: room damage fees. 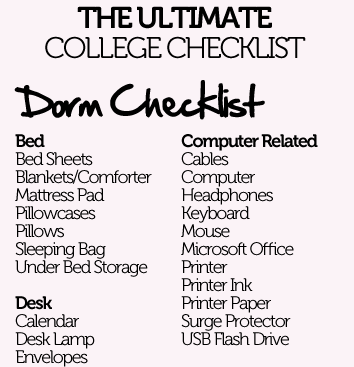 Below is a list of ways to help avoid being confronted with dorm damage and moving fees. 1. Don’t overlook the condition card! At the start of the semester during move-in your college residence advisor most likely handed you a condition card where you could indicate current damages and issues with your room assignment. These cards are of the utmost importance as they serve to gauge the severity of changes to the condition of your room when it is reviewed after you move-out. It is important to be as specific as possible on these cards, and to include even the most minor issues with your room to make sure that you are protected against future potential for charges. If your school does not provide condition cards, speak with your residence advisor about the condition of your room to make sure that its condition is taken note of prior to the start of your semester. 2. Maintenance is your friend! If something goes awry in your room be sure to call maintenance in a timely fashion to report the incident. Accidents happen, and if you are proactive about fixing an issue, you are far less likely to incur dorm damage charges than if you did not alert maintenance to the issue and left it to be discovered post-semester after you had moved out. Similarly, if you notice a problem in a common area of your dormitory, don’t hesitate to call it in! Reporting problems without hesitation can save both you and your neighbors from fines; some schools even have anonymous tip lines which you can call or text regarding condition issues in campus buildings. 3. Move out should mirror move in! Possibly the most important piece of advice is to ensure that you leave your dorm at the end of the semester looking exactly as it did when you first arrived last fall. Schools are very strict about the furnishings they include in the room, so be sure not only to double check that everything which came with your room is there, but I would also recommend leaving the furniture arranged in the way in which you found it. This allows for an easier examination of your room after you leave, and helps to prevent additional fees. Also, make sure to donate and/or dispose of any items you do not wish to take back with you; it would be very frustrating to receive a fine due to forgetting to empty your trash or similarly neglecting to drop off winter clothes at your local charity. 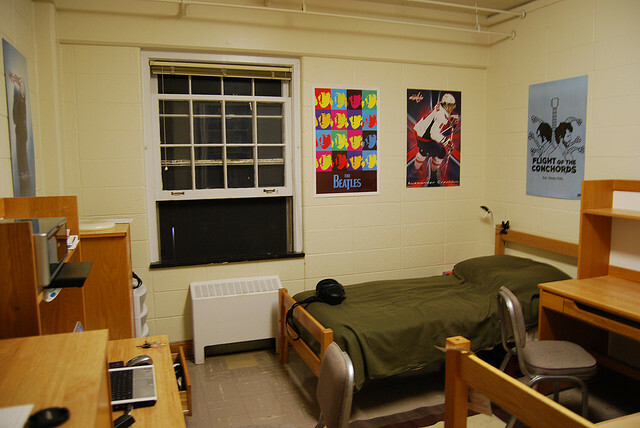 Before moving out, be sure to clarify with your residence advisor your dorm’s specific rules and regulations regarding move out procedures and expected room condition. This can save you from possible fines and make the move out process run smoothly for you. If you’re worried about having to pay for damages at the end of the semester, you may want to consider a renters insurance policy, which may cover the expenses incurred if there are damages. 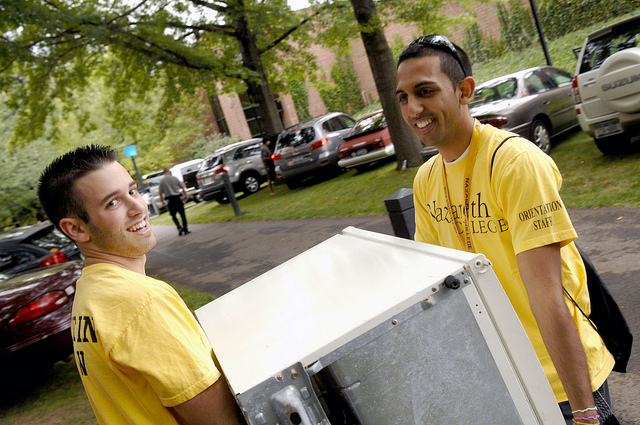 How to Avoid Dorm Damage Fees What Should You Pack For College?